News 2018 off to a good start! What better way to start the year off than with two sold out gigs in January?! Our first gig this year was in the Serbian National Theatre in the beautiful city of Novi Sad, the future European Capital of Culture for 2021, with the legend that is Slobodan Trkulja. 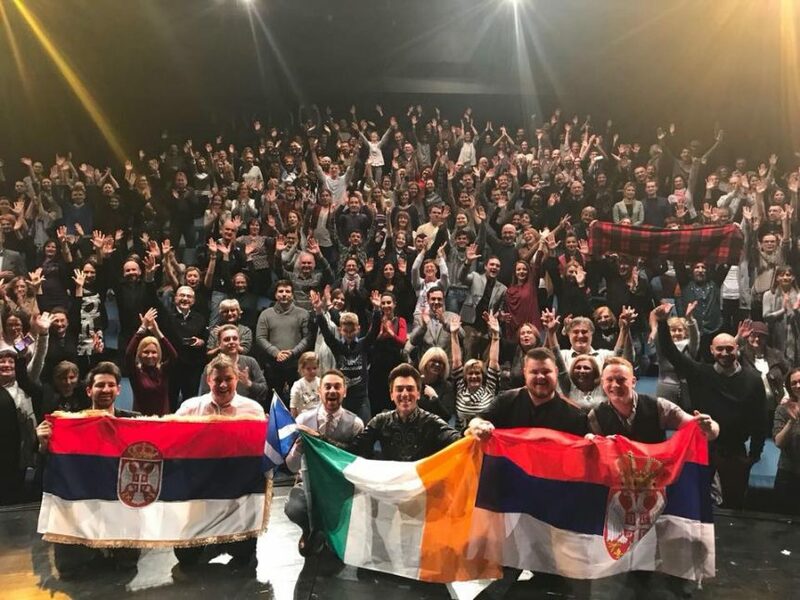 It was our first trip to Serbia, and we were blown away by the kindness shown to us by our hosts and the sold out audience. This is how European Capitol of Culture Novi Sad, Serbia, celebrates 7526. year in a sold out Serbian National Theatre! Thanks to Novi Sad 2021 fundation and Balkanopolis CENTER for MODERN TRADITION – that made this incredible concert possible! Овако Европска Престоница Културе Нови Сад прославља 7526. годину у распродатом Српском Народном Позоришту! Рајанe, Адаме, Роудзи, Мохсен и Томе, ваша породица се синоћ увећала. Већ нам недостајете! Хвала фондацији Нови Сад 2021. и “Балканополис – Центру за Модерну Традицију” који су омогућили овај незаборавни концерт! Next up we’re returning to our home city of Glasgow for Celtic Connections, where we’ll be playing a gig with the amazing Appalachian artist Kaia Kater. This gig is also sold out, so we’re hoping the Glasgow crowd can do its best to rival our new Serbian friends! There’s plenty more gigs coming during the rest of the year, some are still to be announced, so keep checking the gigs page!